Sorry for the title, but I just felt so compelled. I've been thinking about reviving an old tradition, sort of. 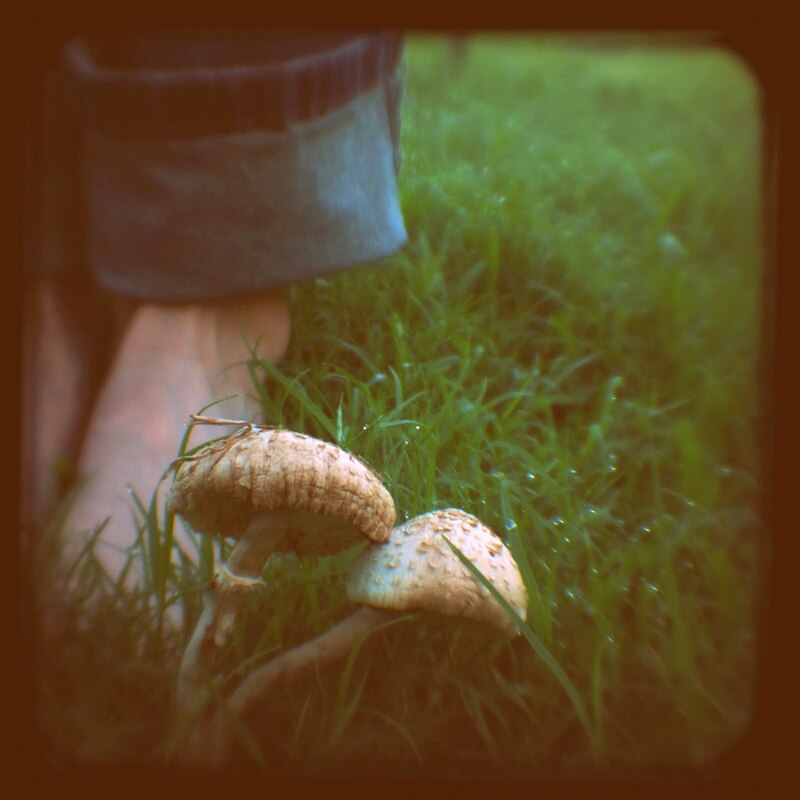 I know that my ancestors, both rich and poor, knew where to find wild mushrooms and which ones were edible. This hunt is what put gourmet mushrooms on the table and could be either a social or quiet pastime, like a Sunday drive. I love the idea of wandering through the woods with my family, hunting ingredients for our evening meal, but that's mostly reserved for "Foodie Vacations", and I live in suburbia, plus I don't want to die. So a mushroom kit is my answer. It's on the list (almost sounds like a threat) along with this book. I figure with marginal success in the garden and a sad end to our bees, fungus is something this family can grow! That Shiitake mushroom log looks fun! The book looks interesting, too. Keep us posted on how it goes! We'll see, I'm sort of on project overload most of the time.